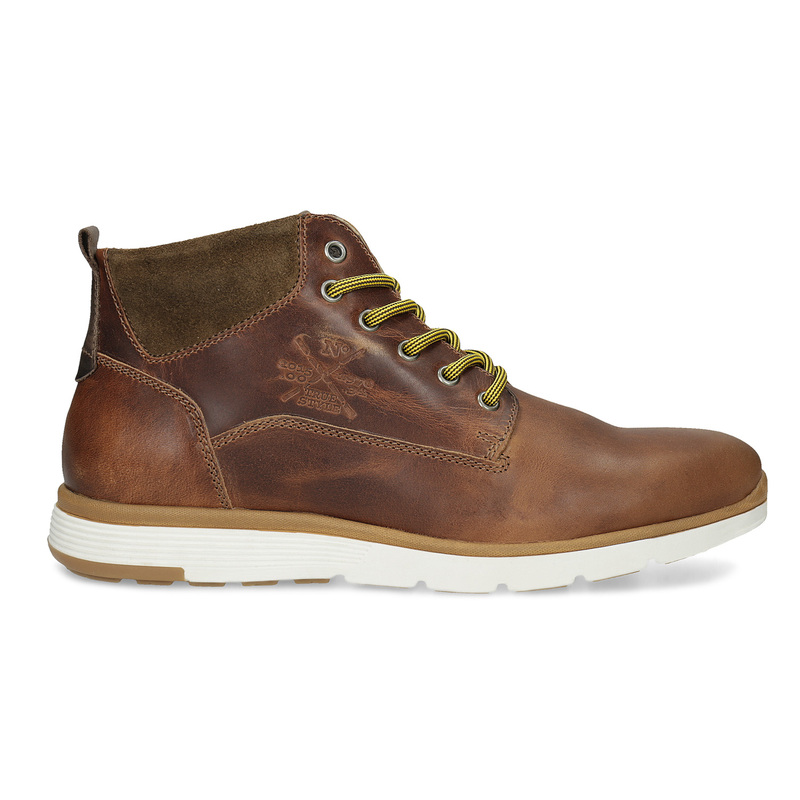 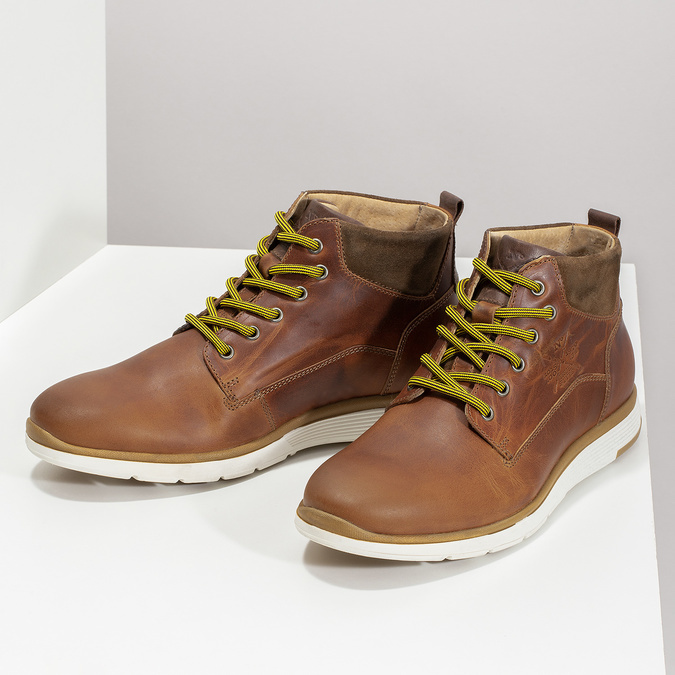 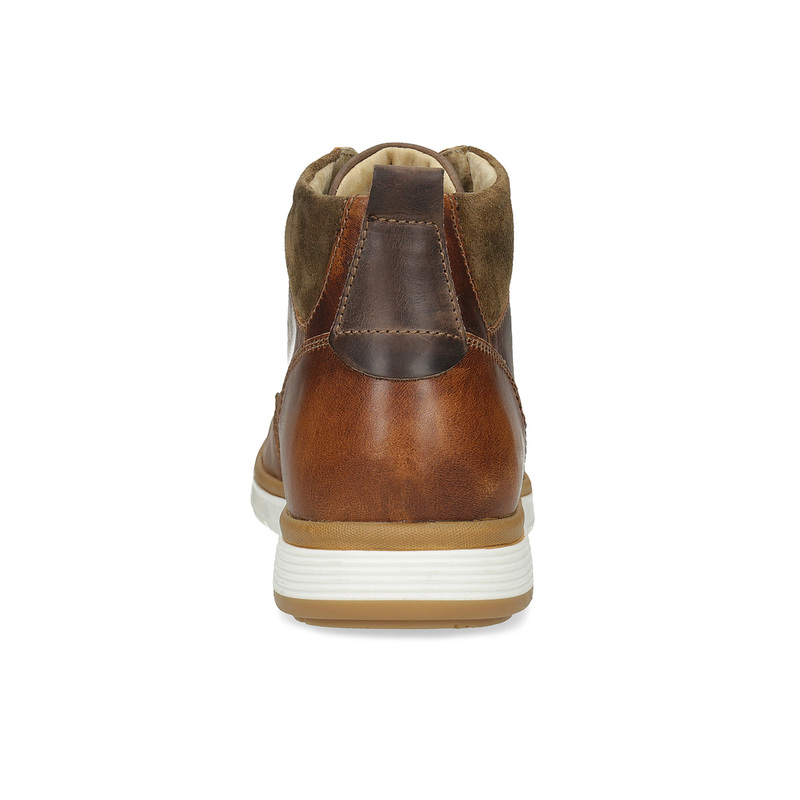 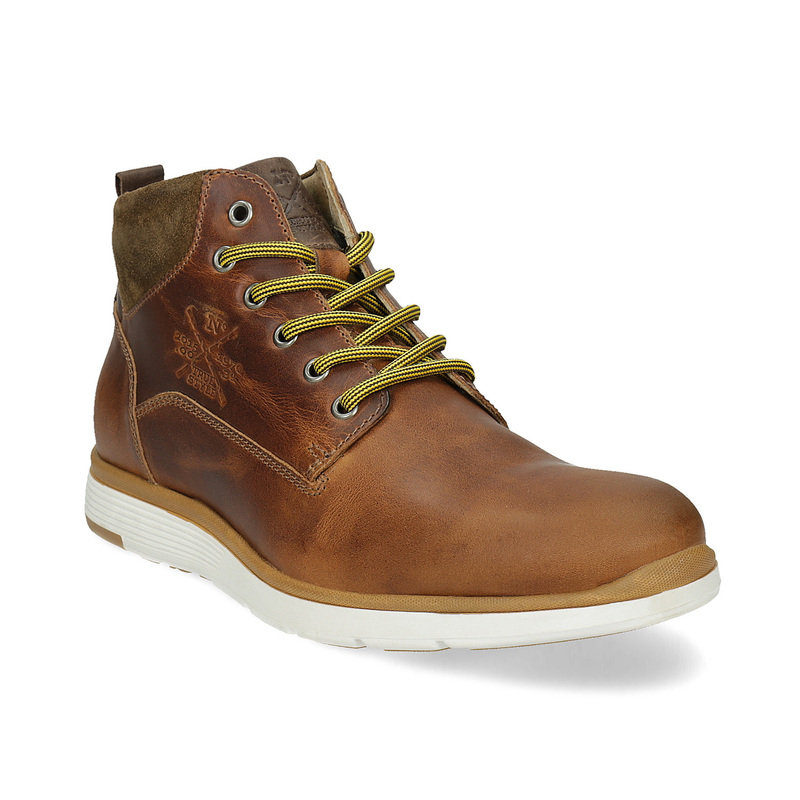 These men’s ankle boots have a premium leather upper in a youthful brown colour and the embossed logo makes for an interesting detail. 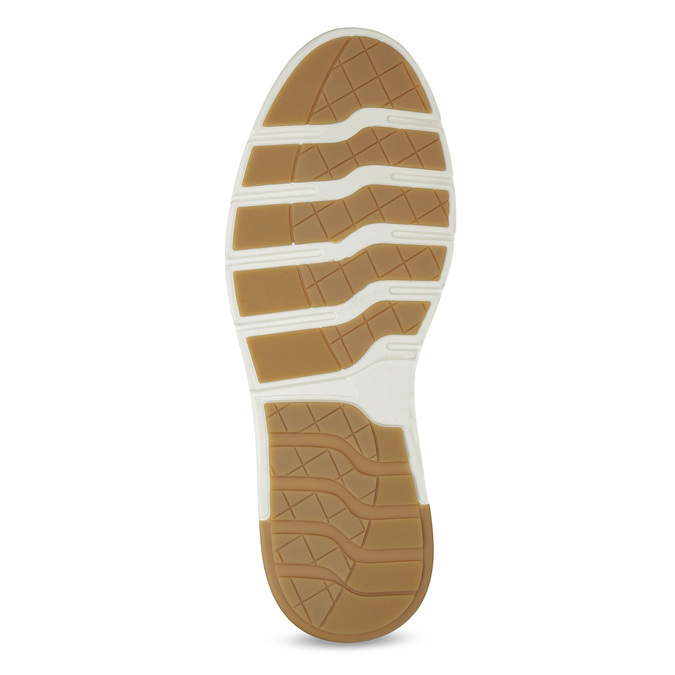 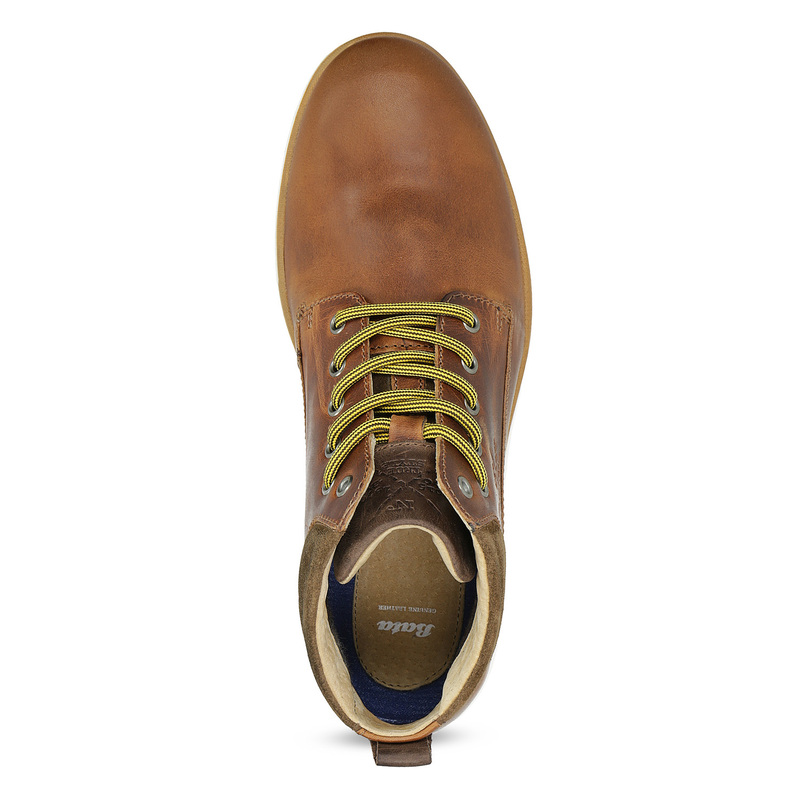 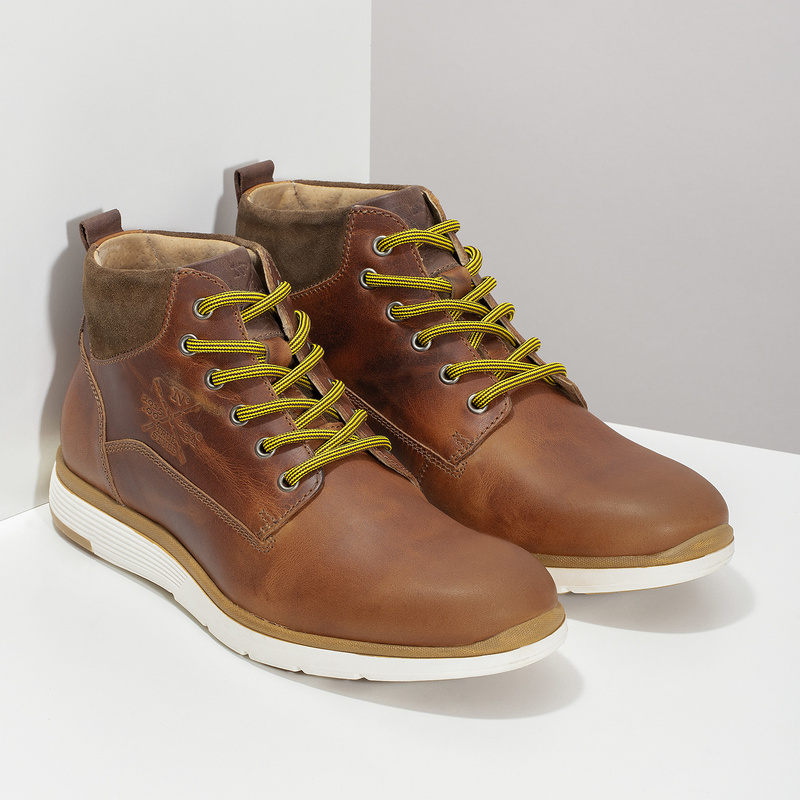 The yellow laces give these boots a touch of flair and it goes without saying that they have a comfortable striped and grooved sole to keep you in step – these will also prevent you from slipping and so are ideal for chillier weather. 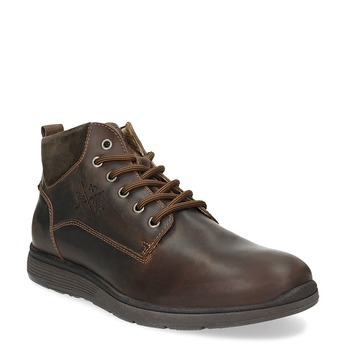 Combine these with dark jeans and add a leather jacket.